Americans can get awfully dreamy about the moon — and with good reason. The flags and footprints we left there in the 1960s and 1970s were symbols of what we can achieve when we just plain decide to achieve it. And the fact that we abandoned it all — no permanent scientific moon bases that could also serve as test beds for deeper-space exploration — is an equally powerful symbol of what has long felt like national drift. Now, however, the moon is making headlines again. On Wednesday, NASA’s acting administrator Robert Lightfoot circulated a memo to employees hinting at the possibility of flying astronauts aboard the space agency’s new heavy-lift rocket and crew vehicle as early as 2018. 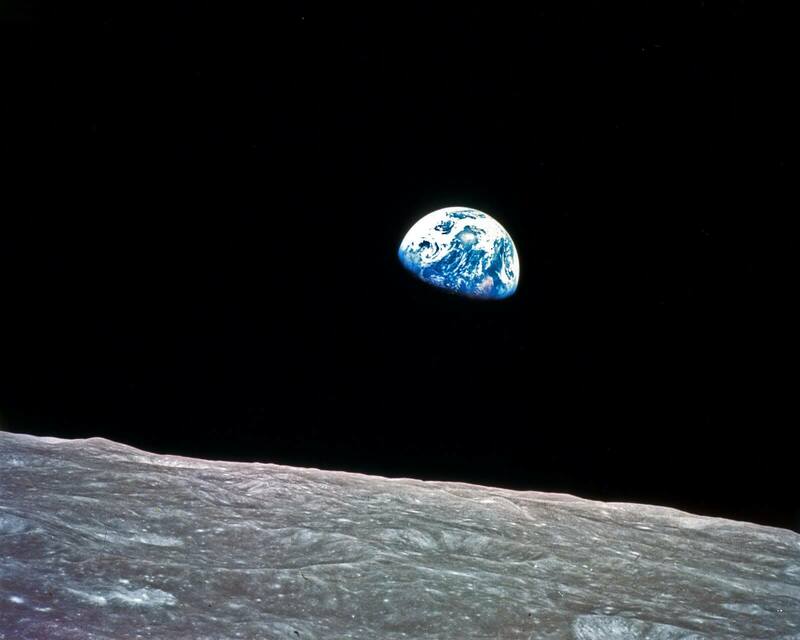 What’s more, the mission would not just be to low-Earth orbit, but to lunar orbit — coming during the 50th anniversary year of the Apollo 8 mission, when astronauts first achieved that singular exploratory feat. That, in the space community, amounted to an earthquake. The rocket, known prosaically as the Space Launch System (SLS), has been in slow-walk development since 2004, as has the Orion spacecraft — a sort of souped-up, 21st-century Apollo capsule. According to the current schedule, the first mission, known as EM-1 (for Exploration Mission 1) would be an unmanned flight, launched sometime in 2018. The spacecraft would spend three weeks flying to and orbiting the moon, and then return home, demonstrating the deep-space flight-worthiness of all of the hardware. EM-2, a manned mission, would follow three to five years later and would repeat EM-1’s flight profile, this time with astronauts aboard. I know the challenges associated with such a proposition, like reviewing the technical feasibility, additional resources needed, and clearly the extra work would require a different launch date. That said, I also want to hear about the opportunities it could present to accelerate the effort of the first crewed flight and what it would take to accomplish that first step of pushing humans farther into space. Lightfoot isn’t kidding when he speaks of challenges. Not only has the U.S. not sent human beings beyond Earth orbit since the Apollo 17 lunar landing in 1972, it hasn’t had a crew-capable spacecraft of any kind since the space shuttles were mothballed in 2011. But the go-slow nature of the SLS and Orion development has less to do with the technological hurdles in a return-to-the-moon mission — considerable though they may be — than with political and institutional ones. NASA has been hamstrung for 13 years by forever-changing signals coming from regularly changing administrations. It was former President George W. Bush who who first called for the construction of a new booster and spacecraft and for a return to the moon and a later trip to Mars. Former President Barack Obama scrapped all of that, then quickly reversed himself, restoring finding to the SLS and Orion programs after howls from space-dependent states, especially Florida, Alabama and Texas. The moon mission, however, was off the table; instead, astronauts would fly to an asteroid sometime in the 2020s and Mars in the 2030s. The Trump Administration has now changed course again. As TIME reported last month, President Trump has signaled his interest in a robust manned space program, and moon advocates like Newt Gingrich have his ear. Lightfoot, with his pedigree at Marshall — where the old Saturn V moon rocket was designed — has long been an advocate of returning to deep space and using NASA-designed hardware to do it, as opposed to relying on the private companies like SpaceX to do the job. He may only be the acting administrator, but until a permanent replacement is named, he can help determine the agency’s direction. It is not lost on the White House that a moon program would also be a job creator, benefiting not only mega-contractors like Boeing (the prime builder of the SLS) and Lockheed Martin (which is building the Orion), but subcontractors around the country. The Apollo program was estimated to have meant jobs for a stunning 400,000 people, from the workers on the assembly lines to the three astronauts in the spacecraft. A key hurdle for NASA in getting astronauts back into space aboard American vehicles has not just been the forever-changing exploratory target, but also securing the needed money. NASA’s current budget is about $18 billion per year, less than a third of the nearly $60 billion inflation-adjusted outlay the agency received in the mid-1960s. As a share of the overall budget, the difference is even starker. NASA got about 4% of the annual budgetary pie during the peak of the space race; today it’s 0.4%. On those kinds of starvation rations, NASA has spent 13 years just noodling with the SLS and Orion. In the cash-flush 13 years from 1961 to 1974, the space agency built and flew the Mercury, Gemini and Apollo spacecraft, as well as the lunar module and Skylab, American’s first space station. If NASA indeed secures the budget and the backing to send astronauts to orbit the moon in 2018, it would not simply mean re-checking a box it first checked half a century ago. Getting human beings to Mars requires testing the hardware — including habitats, pressurized rovers and fuel and water manufacturing equipment — that will make such longterm homesteading possible. Working all that out on the moon first — where an emergency return to Earth will take only three days — is a lot more sensible than testing it on Mars, from which a trip home would take eight months at a minimum. Certainly, the turmoil that has marked the first month of the Trump presidency has proven that what looks like a plan today can easily be discarded tomorrow. On the other hand, the 1960s practically defined the idea of turmoil, and yet the drive for the moon pressed on, through four presidencies and half-a-dozen Congresses. It was something America did right and did well. And it’s something we could do again.